One of the most frustrating aspects of fibromyalgia is how little it is understood by others — and how difficult it can be for patients to describe the challenges they’re dealing with. 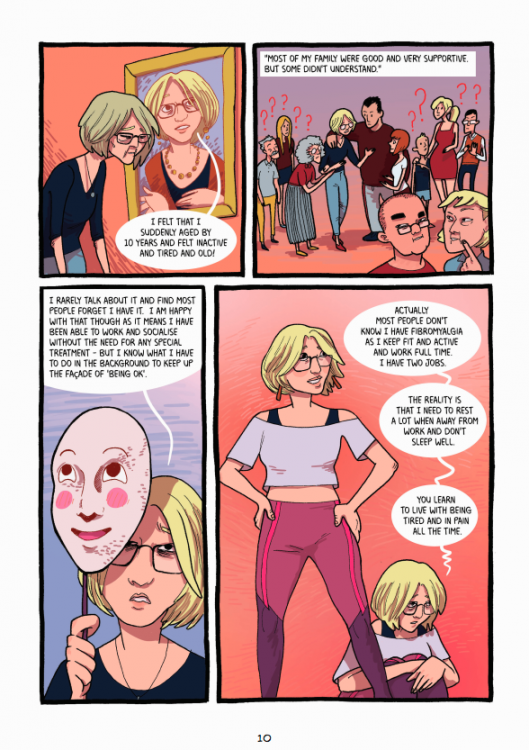 To help more people understand, the University of Dundee in Scotland is trying a new approach: creating a comic to tell the “story” of fibromyalgia. 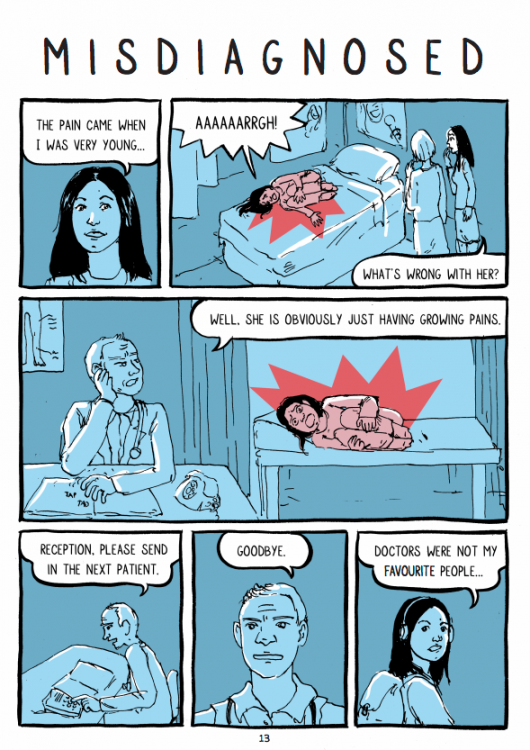 The comic, called “Fibromyalgia and Us,” was published last week and is a collaboration between the University of Dundee’s Scottish Centre for Comics Studies, Ink Pot Studios (based in Dundee Comics Creative Space), Christopher Murray of Comics Studies and Divya Jindal-Snape of the School of Education and Social Work. 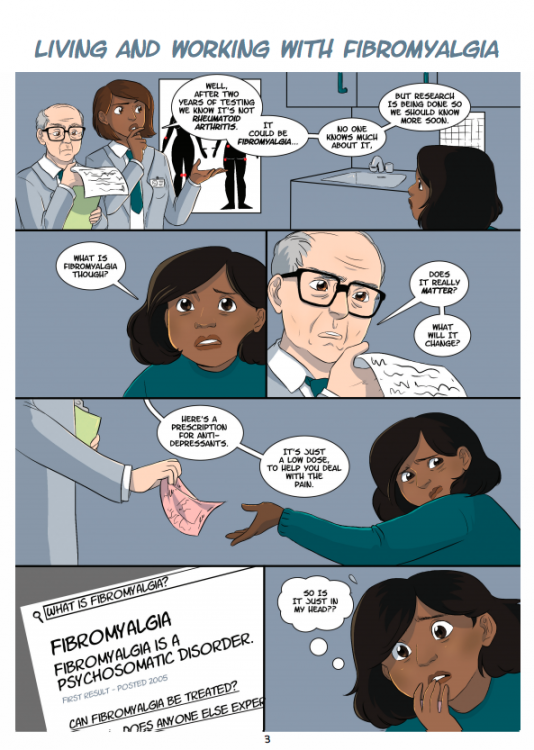 Jindal-Snape, who has fibromyalgia herself, told The Mighty that she got the idea for the comic after a pain clinic psychologist told her more needed to be done to make health professionals aware of fibromyalgia. 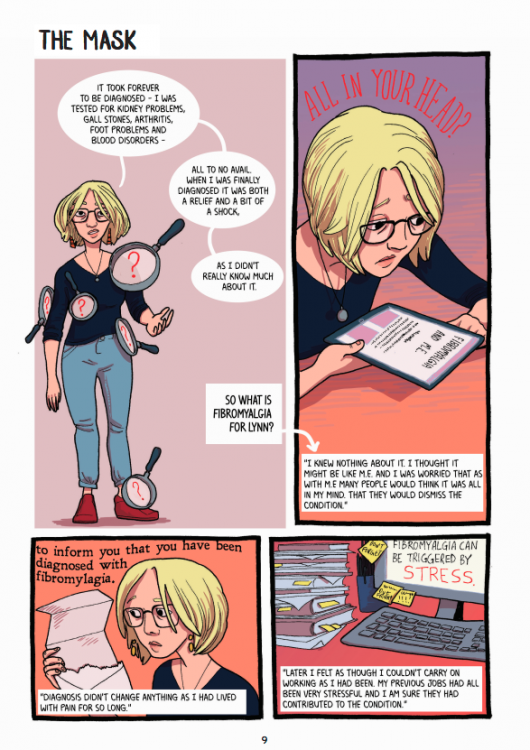 Knowing full well the lack of awareness around fibromyalgia, Jindal-Snape said was lying in bed with a fibro flare when she started to think of creating a comic about it. She said she chose to create a comic due to its ability to visually convey a story. 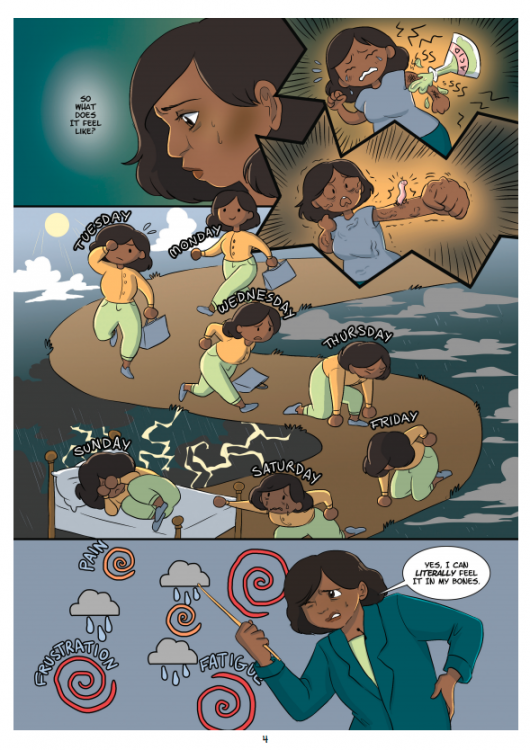 Creating the comic was a collaborative process — Jindal-Snape interviewed people with fibromyalgia, as well as their family members and health professionals, and she and Murray converted the answers into scripts. The scripts were then sent to artists, who produced thumbnails to be approved by those who had contributed their stories. Once everyone was happy, artists produced the final version. Jindal-Snape did research and created a medical factsheet for the end of the comic. The team also plans to create comics on heart disease, organ donation and disabilityrights. Jindal-Snape she hopes “Fibromyalgia and Us” helps people with fibromyalgia be heard, and helps others understand the ongoing life transitions of those who have fibromyalgia, as well as its impact on their loved ones.